Reinventing Geospatial Inc. has appointed Glenn Gillis as its new director for business development and strategic growth, a new role that aims to guide the company’s growth with new and existing military C4ISR customers. Gillis brings 34 years of experience with Command, Control, Communications, Computers, Intelligence, Surveillance and Reconnaissance, cyber, comms/networks, high-performance community and intel systems, RGi said. 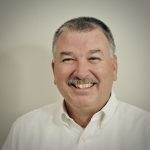 Gillis previously worked as a senior business development executive at CACI and SURVICE Engineering Co., where his strategic direction and business development efforts in the C4ISR market resulted in more than $300 million in new business, RGi said. The job is a new position, created in response to RGi’s rapid growth, the company said. Gillis said he joining a team that shares an entrepreneurial and collaborative spirit. “I take pride in joining a team that focuses on both the success of their customers and their people,” Gillis said. Next Article WashingtonExec Hosts Executive Mixer, Sponsored by IndraSoft, Inc.